I just signed up! Also, reserved the Captiva Room at Tarpon Lodge. Mike & Dale - Indy 21 - Master Angler 21' Two retired guys looking to have a great time time fishing and socializing. I think today is the last day to sign up? Is that correct? That's what it says on the itinerary. It says June 10th is the last day on the registration form online. Hopefully we end up having a good turn out! Only 16 Days! Maybe Charlie can give an update on how many have registered. Are you going down to the SWFOT ? Would love to hear what the final count is! 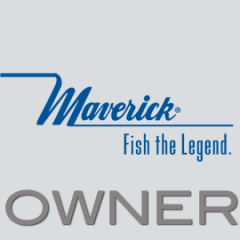 Just curious if there will be any Maverick swag for sale at the tournament. Decided against making the run from Sanibel each day to Tarpon lodge so I went ahead and booked a room at Tarpon Lodge. It looks like they still have a room or two left.. Get them while you can!! 10 days and a wake up!!! 4200+ views and only 11 entries??!! We have 24 boats in total, with possibly a couple of more on the way. The raffle items and captain's bags goodies are pouring in and the long range forecast looks great. This is going to be a lot of fun. Just one week to go! Going to be fun for sure, 24 boats, that's a good turnout. Only a week away. I just got my newest PF and cant wait for some West Coast Florida fun.....see everyone next week. Sounds like it will be a lot of fun! This will be my first OT and I am looking forward to meeting everyone! Gotta get the boat all shiny this next week!